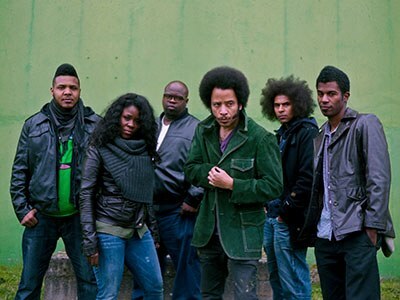 In an interview with Boots Riley of "punk-funk, Communist revolution" band, The Coup, we talk the band, bringing the revolution to art, withholding labour, hopeful organizing in Oakland and more. Here is an interview from the September 4th 2014 edition of the Daily GRRR! with Boots Riley of badass "punk-funk/Communist revolution" band, The Coup. We talk the band, bringing the revolution to art, withholding labour, hopeful organizing in Oakland, some american socialist history and more. On The Coup's first trip to Ontario since 2006, they are playing Friday September 5 at the Hard Luck Bar in Toronto, in Association with Stolen From Africa (SFA Media Group), OPIRG Toronto and The Revolutionary Students Movement Toronto. They are also playing in Ottawa on Saturday the 6th.